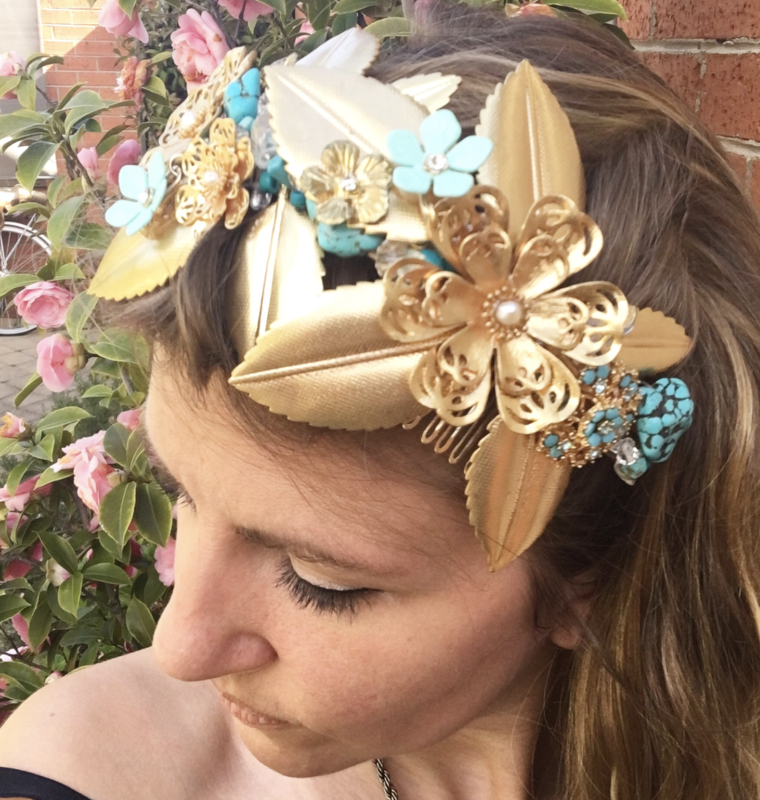 This unique handmade floral hair band can be worn as a crown or a head band depending on how you position it on your head. 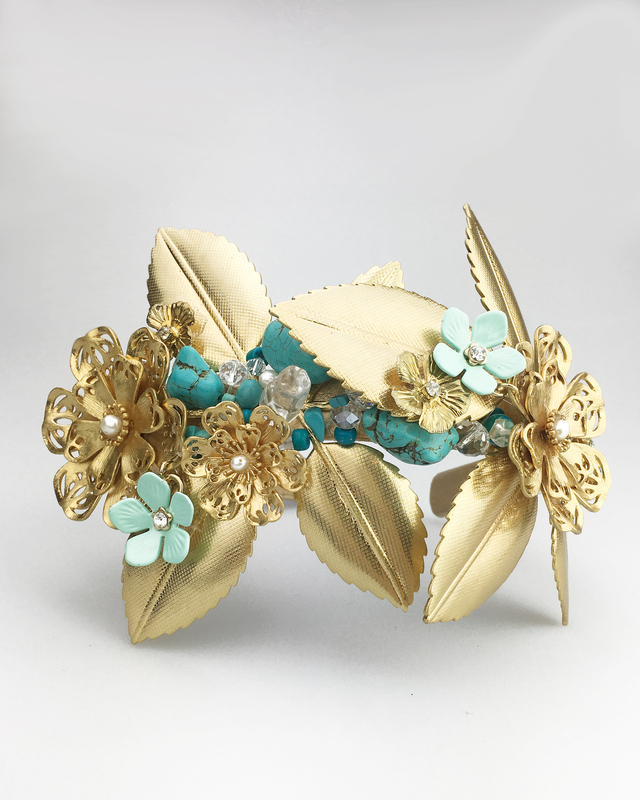 With gorgeous semi precious turquoise stones intertwined with metal flowers, Swarovski crystals and fresh water pearls this design could be dressed down with a pair off jeans and a white top or dressed up with a floral or lace embellished dress! 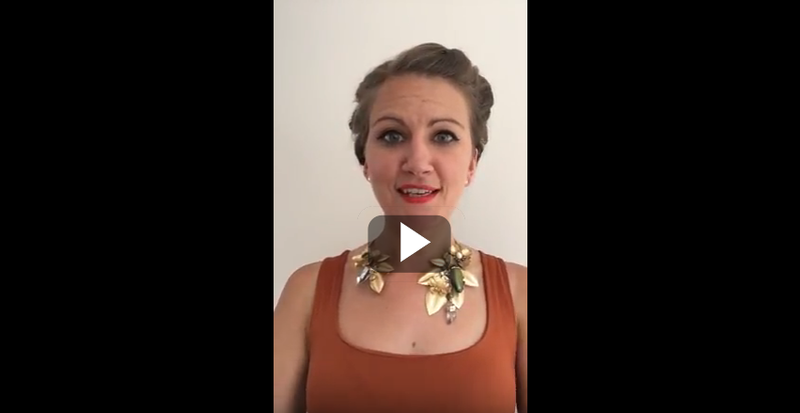 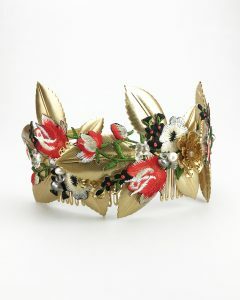 Perfect for the races, for a special occasion or just for having out on display for you to love and appreciate! 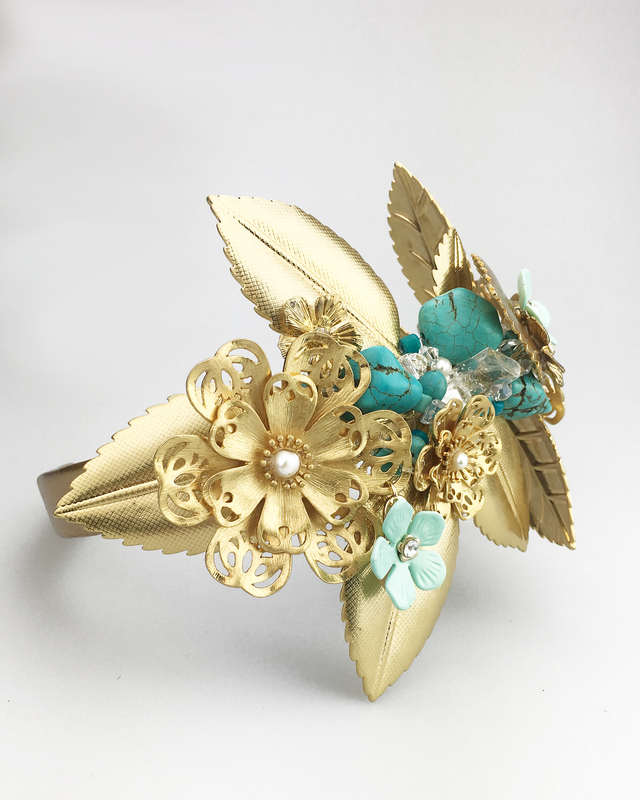 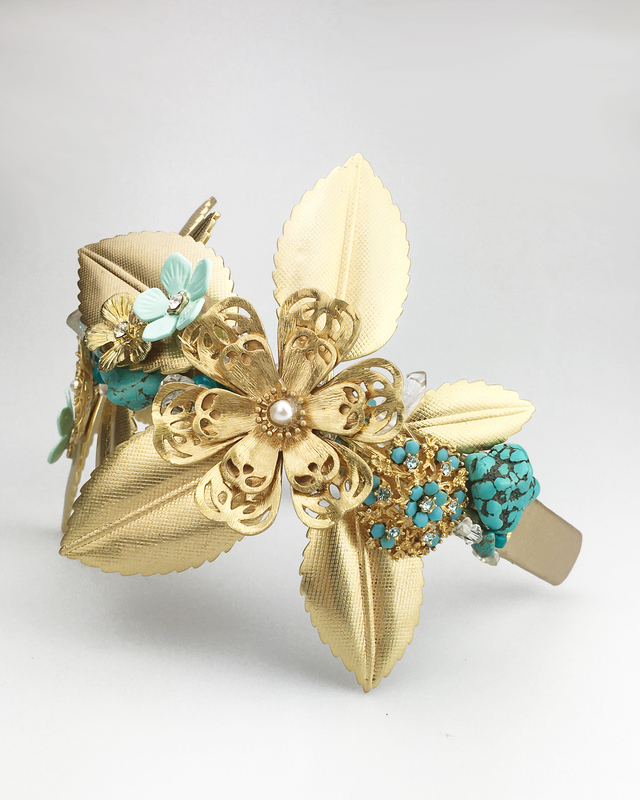 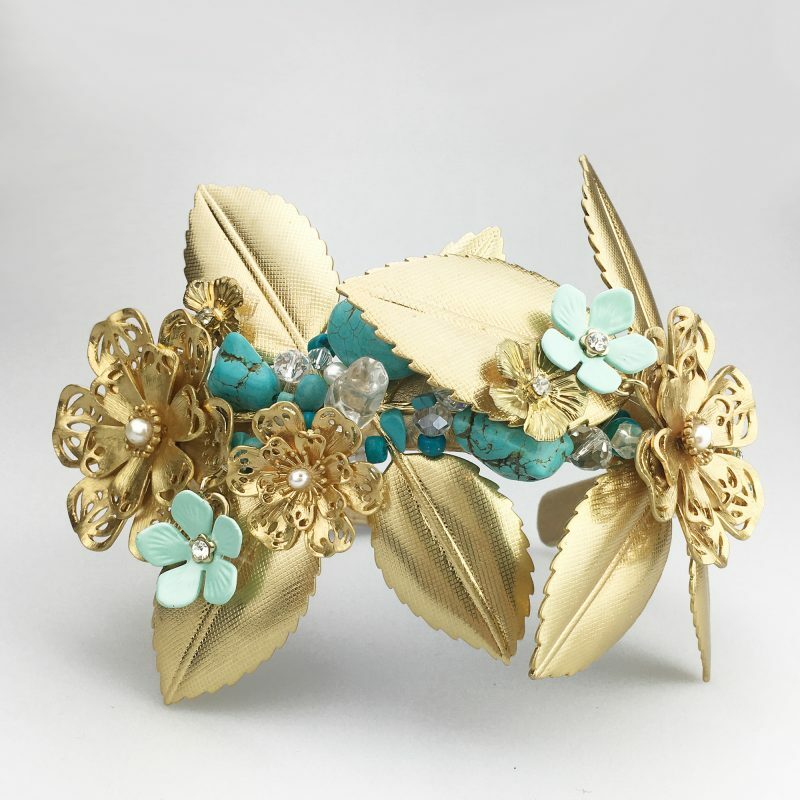 This item is a beautiful one off design made with real gold plated brass leaves and semi precious turquoise stones woven together to create a scrumptious leafy delight for a special occasion. 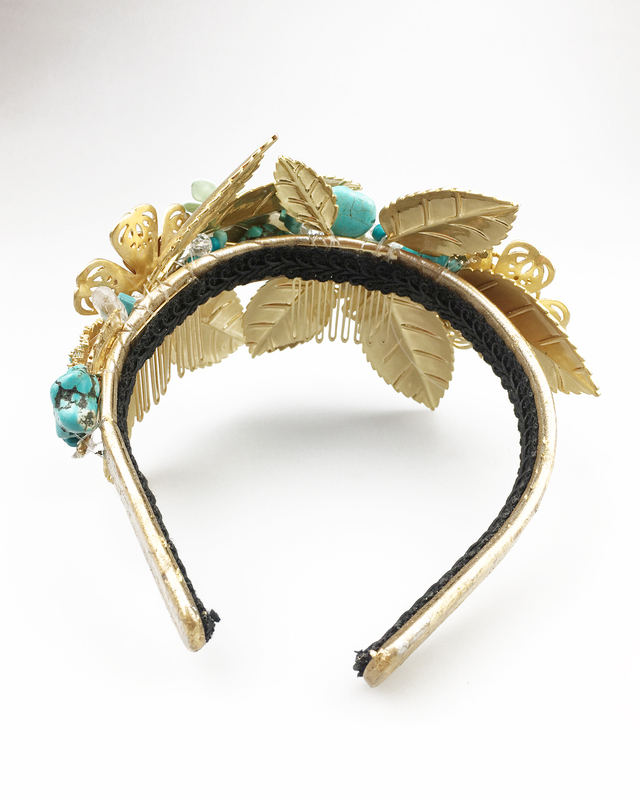 The head band is covered in a gorgeous gold leaf.